Space communications. Antennas of one of the ADU-1000 arrays of the Pluton system at Yevpatoria, Ukraine. Pluton was a system used for deep space communications and for space radar studies. It was built in 1961 and consists of eight 16-metre dishes. Pluton made the first successful radiolocations of the planets Venus (1961), Mercury (1962), Mars and Jupiter (1963) It was also used to communicate with a long list of Soviet space probes including all the Venera and Mars missions. 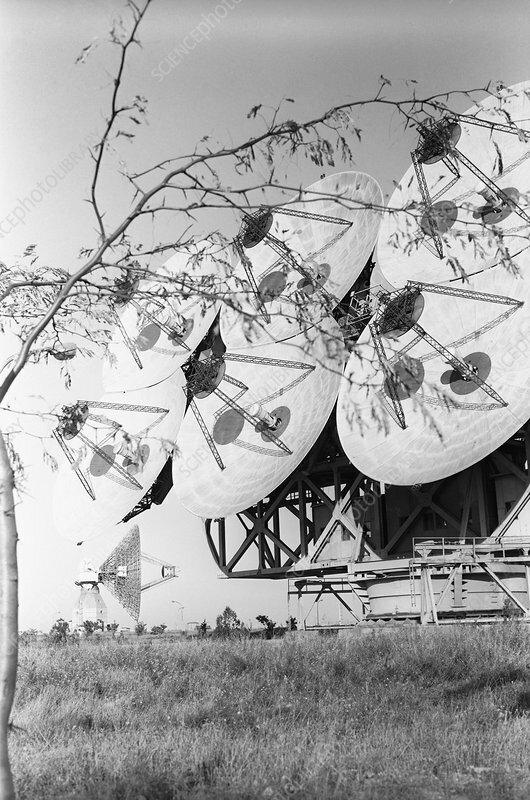 The antennas have also been used for deep space radio astronomy. Photographed in 1969.